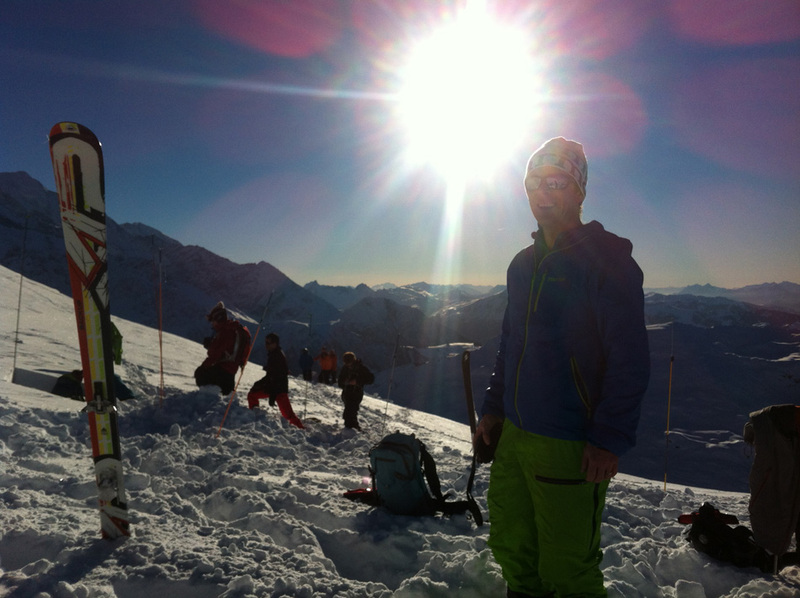 The last three days have seen me studying snow in Chamonix on a AIARE Level One avalanche course run by Liz and Miles Smart of Smart Mountain Guides. With a very bad snow pack problem in many parts of the alps this year, it was a great time to go on such an in depth course. There have been many deaths this winter already in the alps, with huge avalanches being reported in the general media (see this Guardian Report). 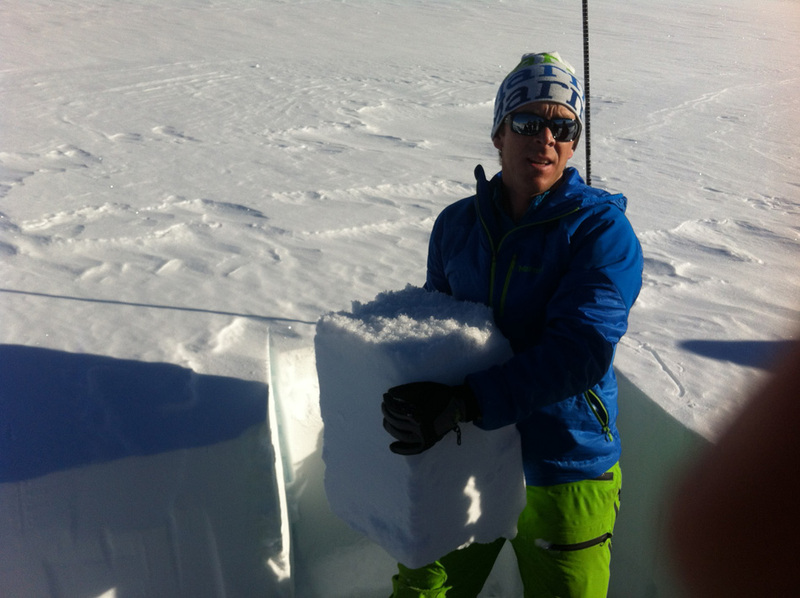 Miles finds his layer of facets from December 19th – note this block of snow is being held upside down. The large snow crystals on the top of the block are the faceted layer you can see in the video below. A major part of the problem is a persistent weak layer in the snow pack from back on the 19th of December. You can see us finding this layer in the video below. I certainly don’t feel qualified to comment further on the current conditions here in Chamonix, as the situation is so complex, but suffice to say the season is not an amazing one for skiing big lines! Stay out of avalanche terrain! Happy skiing.